I saw a post on Facebook today about the Devil's Highway out West. This got me wondering, what do you think are the "must ride destination roads" in the US? I consider a "Destination Road" a road that is a travel destination in and of itself. - The Million Dollar Highway. - Route 101 up the West Coast. What roads in this country do you think are worth traveling far just to ride? 468 miles of some of the best riding in the country if not the world. This is one of my top two all time favorite roads in the country. During May we've had 80 mile stretches in the middle of the day where we didn't encounter a single car. It's simply a beautiful ride. Rolling in sections, twisty in others, incredibly scenic in yet others. One of my all time favorite roads in the country. This is an extremely technical 11 mile long route without cross roads or driveways. This is one of the most dramatic and beautiful roads in the country, in my humble opinion. How could I have forgotten to include Beartooth Highway, Independence Pass, or the Icefields not to mention Lolo Pass? Good calls! I've never ridden Cedar Canyon Road but I've added it to my wish list. From the map it looks good. Do you have any photos from there? Re Beartooth Highway: Intersecting with it is WY296 aka the Chief Joseph Scenic Byway. Not to be missed either. It will take you into Cody WY. I stumbled on this one last year. It's a hidden gem. CO 141 south of Grand Junction CO. Follows the Unaweep Canyon. Slick red rock canyon walls for miles. At Naturita, continue SW toward Telluride then take CO 145 into Cortez. I want to take it again someday. Add a day to ride the Million Dollar Highway. One of my other favorite stretches of road is in the middle of nowhere but I take it anyway even if it's a little out of the way. US20 between Shoshoni and Thermopolis WY through Wind River Canyon. Looking forward to doing 141 this summer. Did 145 through Telluride. Ah, this thread is invoking some fond memories! Coming back from Alaska (via Williams Lake, BC and Seattle) last summer, I hit Lolo Pass over to Missoula. Stayed the night in Kamiah, then headed east to Red Lodge and rode the Beartooth Highway. Stopped at Top of The World Store on Beartooth for the night (they have a few motel rooms and I lucked out). Dropped off Beartooth onto Chief Joseph Highway the next morning, then south through Wind River Canyon to Colorado. Over to Aspen the next day, then up through Independence Pass eastbound and hit Pikes Peak on the way to Colorado Springs for a visit with the grandkids. Re Cedar Canyon road, it's been over 25 years since I've ridden that one (long before digital cameras), but I might have some old photos in a box somewhere. I'll see what I can dig up. Mentioned Cedar Canyon because it was one of my favorite rides when I was stationed in Utah many moons ago. Lots of great canyon roads up and down the Wasatch and throughout Utah for that matter (more than I can recall really) but Cedar Canyon stands out in my memory for some reason. Maybe because it was one leg of the first multi-day trip on my first beemer ('85 K100RS) circa 1991. Two more worth mentioning from my time living in Texas: Route 118 west of Fort Davis up to McDonald Observatory and the beloved "Twisted Sisters" roads down near Leakey. Good riding in Texas hill country around Fredericksburg too. Thanks for this! That just sounds like such an fantastic trip. In 2010, I rode up to Deadhorse, AK and back again on my own flying brick. It was the trip that inspired the creation of this site. A blog of my travels from Washington DC up to Deadhorse, Alaska and back again on my '92 BMW K100RS. According to Facebook user Kelvin, "The map don't do it justice crosses 5 mountain ranges lots of switchbacks." Wind River Canyon Scenic Byway ends just north of Thermopolis, Wyoming, home of the world s largest mineral hot spring in Hot Springs State Park. Come take a dip! Cool. Thanks for the link. I've added it to the route on the map. While this route starts in Ventura I usually pick it up in Ojai then turn around at Lockwood Road unless I want to make a long day loop. That eastern desert gets hot! It's wild and remote, climbs high into the mountains, and the canyons and curves are just a blast. On good days you can see the Channel Islands from the high parts. Awesome trip to Deadhorse and great write-up! MTSweger, thanks! I still dream about that trip and envy my former self. I came across this today on the site "Only in your State". Have any of you ridden it? With the wind whipping against your windshield, curves steering you close to hillsides with steep drop-offs, and towering rocks on either side creating narrow tunnels, the Twisted Sisters is basically a free roller coaster ride. Yes. I used to ride down there several times a year when we lived in west Texas (ca. 2000-2004). Always lots of fun on the old K100RS. Would have ridden the sisters even more often if it was closer to home. Too bad it took me a couple hours of riding from San Angelo just to begin seeing some semi-twisty roads. Wish I had my KTM 1200SA while living in San Angelo. Lots of interesting ranch roads out that way to explore, but my beemer just wasn't the right tool for that job. 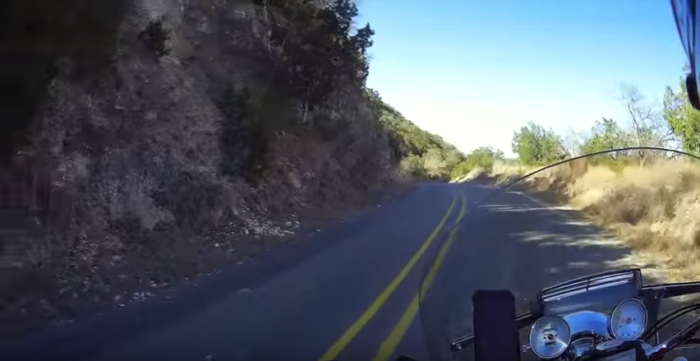 I did enjoy riding Texas hill country and trips out to Big Bend from time to time though. 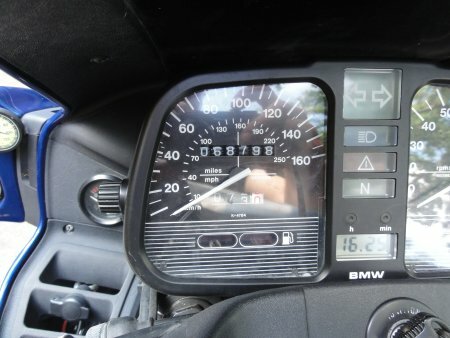 Made more than a few long-distance rides on that trusty old K100RS. Both coasts and up to BC twice. Was pushing 200K miles on that bike by the time we moved to Virginia in late 2004. Hmmm... Maybe I'll hit the Twisted Sisters route after my ride to Austin for MotoGP next month as long as I'm in the neiborhood. Nebreska Route 2 from Alliance to Grand Island (275 miles) is a nice ride. Not spectacular scenery but there is something about the rolling grasslands. US 33 between Harrisonburg, Va and Harman, WV. Great fun, lots of twisties. US250 between West Augusta, Va and Thornwood, WV. Demands a lot of attention but is an incredibly satisfying ride. VA-80 south of Elk Garden, VA to Poor Valley Rd. Narrow and little, to no, runoff. Can be scary, keep it real and it's fun. This may have been mentioned and I missed it, but, Southeast Ohio has some phenomenal riding and gets very little mention. The triple nickel (OH-555) between Zanesville and Little Hocking is obviously a favorite, but, pick a direction in the area and have a good time. Be forewarned, there are LOTS of blind hills (Especially OH-555) and curves and can be off putting to some people. Don't let your guard down in SE OH. The few times I've been, the town of Marietta is a pretty nice place to call home base for a few days. The Microtel Inn is quite nice and the rates are reasonable. Excellent suggestions! It's been a while since I've ridden route 80 so I'm due to head down that way again. Another good one east of there is route 16 between Marion and Tazewell. I may find myself down that way in early May riding with America.Rides.Maps. VA 80 looks intriguing. Thanks. Adding to the Route-to-scout list. I live in the northwest, in Victoria BC, and can vouch for the Lolo Pass; that was the destination road of my annual trip two years ago. Well worth it. This year's trip is centered around another road mentioned here - Bear Tooth Pass on the north end of Yellowstone. I'll make sure that we also ride Chief Joseph Scenic Byway. Thanks for the tip, DLNielsen! Yermo, another road I've ridden a couple of times that I know you would like is State Route 96 in northern California. Rode that one last year on the way to San Francisco. Combined with 101 on the coast, it's a couple of days of great riding.